抄録：　This study determined the initial distribution of Fukushima reactor-derived radiocesium fallout in forest areas of Fukushima Prefecture based on analysis of airborne monitoring surveys by the Japanese Ministry of Education, Culture, Sports, Science and Technology (MEXT). The results of the fifth airborne monitoring surveys were compared with the third airborne survey data in order to correct for variation of aerial activity density due to multiple factors such as weathering processes and measurement uncertainties between two surveys. Finally, the results of the third and the corrected fifth airborne surveys were combined to reconstruct the initial radiocesium fallout map over whole the Fukushima Prefecture area following the Fukushima reactor accident. Our calculation results showed that forest areas accumulated 72% of the total atmospheric input of Cs-137 to the land of Fukushima Prefecture. The aerial deposition density in forest areas showed significant variability among municipalities. Nevertheless, forest areas accumulated a large percentage of atmospherically deposited radiocesium in many municipalities. Statistical analysis of the variability in Cs-137 aerial deposition density indicated that aerial deposition density varied significantly, even within a municipality. Furthermore, the inconsistency in the probability distributions of measured aerial deposition density among municipalities makes it difficult to obtain a representative initial radiocesium fallout input following the accident. To reduce uncertainty in environmental parameters related to radiocesium transfer in forest environments, we strongly recommend that the aerial deposition density of initial Cs-137 fallout at each location is determined by in-situ sampling survey and using the reconstructed Cs-137 fallout map presented in this study. 抄録：　Understanding the influence of invasive species on understory communities is necessary to maintain ecosystem functions. Here, we describe the effects of different abundances of the invasive species Eupatorium adenophorum on the composition and structure of understory communities and Pinus yunnanensis regeneration under pine stands in mid-Yunnan, China. Our data show that the different invasion densities of E. adenophorum altered species and functional diversity by changing the species composition and abundance in the understory community because of its higher specific leaf area (SLA), leaf nitrogen concentration (LNC), and leaf phosphorus concentration (LPC) compared with native species. Meanwhile, the presence of E. adenophorum led to changes in the patterns of species co-occurrence, with a shift from random to segregated patterns as the invasion intensity increased. Furthermore, the order of species loss under invasion was non-random. The LNC could be an indicative functional trait predicting the order of species loss, suggesting that species with a lower LNC were lost first with increasing invasion intensity. In addition, a high abundance of the invader E. adenophorum suppressed the growth of the seedlings of native canopy trees. Our results indicate that the effect of the invasive herb E. adenophorum on the understory community is associated with the non-random loss of species with different LNCs and that invasion also suppresses the growth and regeneration of native canopy dominants. 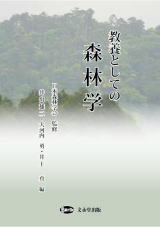 抄録：　Restoring planted forests to more natural forests has become an important goal of recent forest management strategies. Thinning is an effective method of restoration that improves understory light conditions and encourages the growth and establishment of future canopy tree species. However, ambiguous results have been reported depending on location and circumstances. In this study, we examined the trend in the initial response after thinning across a region to consider understory disturbance accompanied by thinning and overgrowth of shrub species that prevent the growth of tree species. Field surveys were implemented in 49, 48, and 31 Japanese cedar plantations at different times before and after thinning (before thinning and at 2 and 5 years after thinning). Compared to before thinning, understory hardwood abundance was significantly lower at 2 years after thinning, whereas it was higher at 5 years. The increase in the abundance of the understory community was conspicuous for tree species with a rapid regeneration strategy after disturbance. These results suggest that understory disturbance resets the understory community structure by increasing light levels, thereby allowing the establishment of pioneer tree species. However, the abundance of understory hardwoods after thinning was correlated with that before thinning. Thus, we suggest that the possibility of colonization of tree species are largely affected by the abiotic or biotic environmental conditions with no direct relationship to the present thinning treatment (i.e., is the factor that remains essentially intact even after thinning).